14 Ideas for A Very Merry Doctor Who Christmas! 14 Ideas for A Very Merry Doctor Who Christmas! 14 Ideas for A Very Merry Doctor Who Christmas! 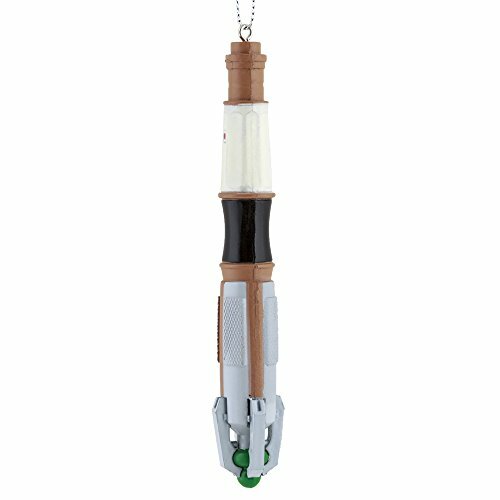 Are you crazy about Doctor Who and have loads of Doctor Who items around your house perhaps? Well, today I’ve found the perfect items to make your Christmas even better and full of Doctor Who goodness! 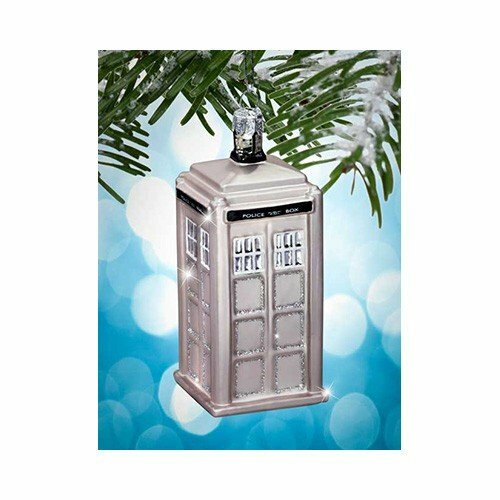 This Tardis ornament caught my eye as I was searching for my own tree ornaments – it has rave reviews too which talk about how detailed the painting is. It is a glass ornament though so will need to be handled with care and stored safely as all fragile ornaments should be. 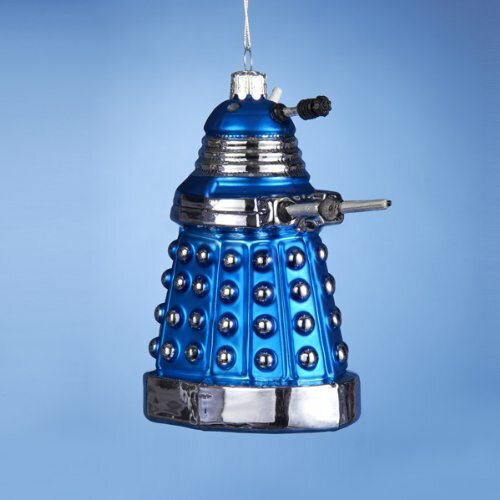 These Dalek ornaments are also very highly rated and made of glass too. The red and yellow ones are 5-6inches though, so bigger than the Tardis. 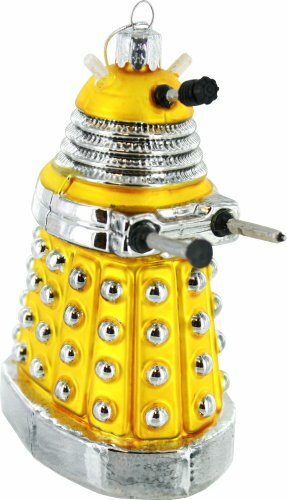 The blue Dalek is smaller at around 4 inches. 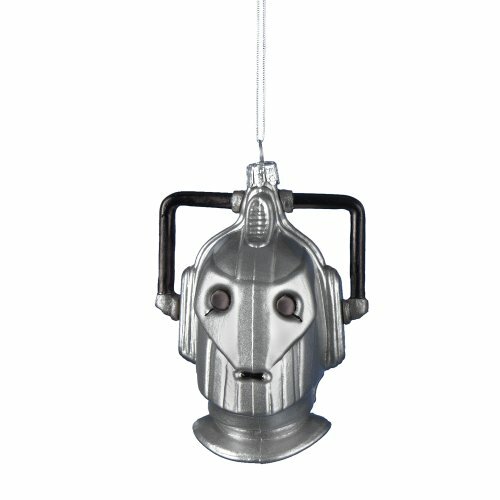 The Cyberman head ornament is also fairly large and made of glass. I’m getting the feeling from the Amazon reviews that all of these ornaments are good quality although some seem surprised at how large they are. 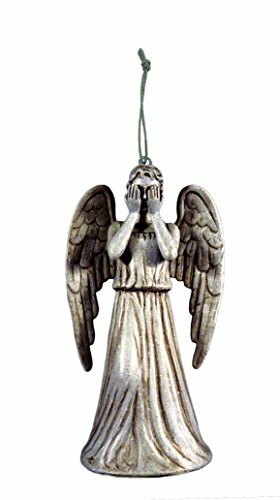 The weeping angel and cyberman are hard plastic ornaments – still get good reviews and may be more suitable if you have small children who may want to play with the ornaments! 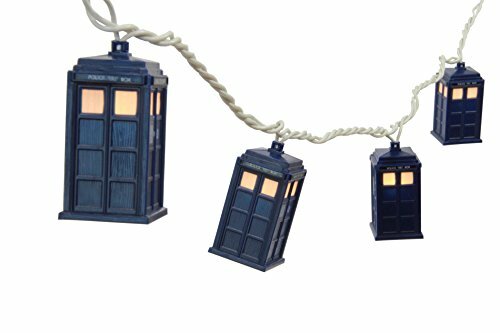 I love these Tardis string of lights – you could use them for any celebration, not just for Christmas. The cord is only 9 foot long but multiple strings can be put together easily although you may need an extension cable to reach the wall outlet. 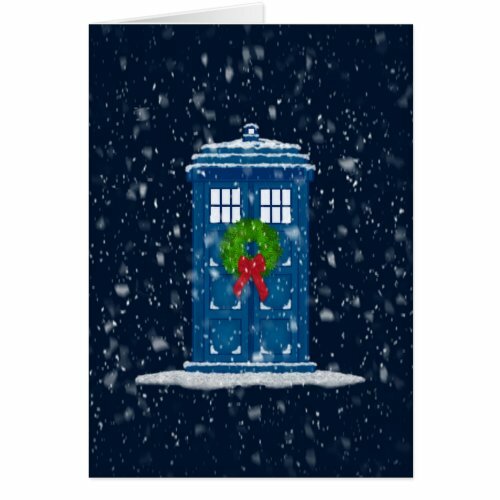 After all these ornaments, I came across these great Christmas cards – who can resist a Tardis with it’s own Christmas decorations? I couldn’t so I had to include them. 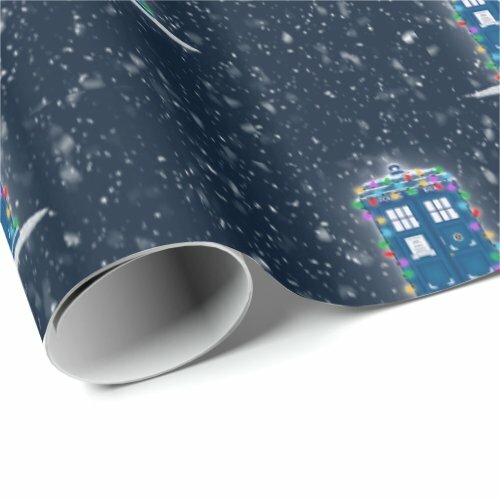 The designer of one of the cards has also made their design into wrapping paper – so even if you don’t like Doctor Who but are buying a gift for someone who does, you now have the perfect gift wrap too! 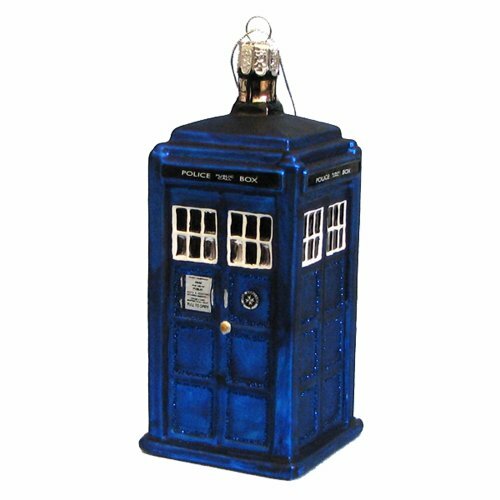 I’m pretty sure I won’t be able to persuade my guy to have a Doctor Who themed Christmas tree but I know several people who have had one for years. I know one young lady who has a Tardis in her living room (hidden bookshelves) and another who had Doctor Who for her wedding theme. 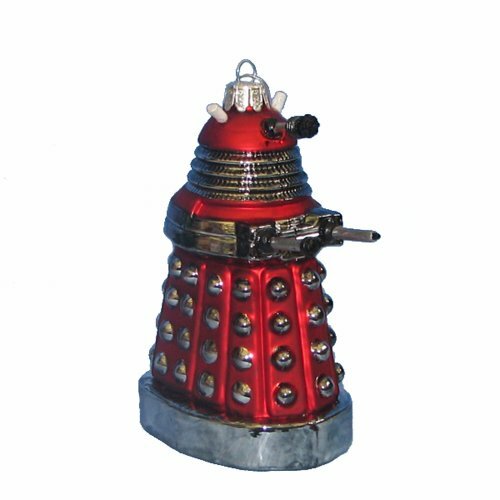 Dedicated Doctor Who fans everywhere would be more than pleased to find these Christmas ornaments under their tree this Christmas, I’m sure. 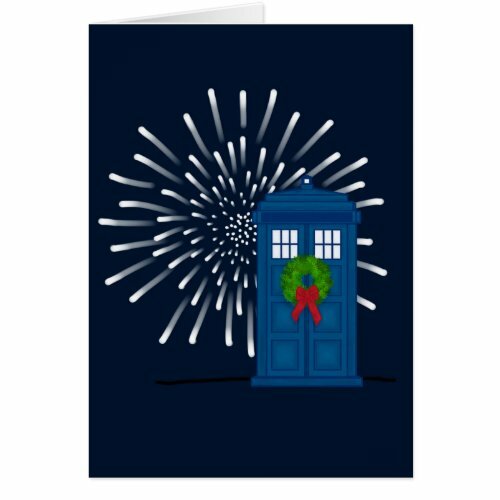 If you are looking for Doctor Who gift ideas rather than tree ornaments, check out these other great Doctor Who gift selections. ← 11 Slightly Naughty Gifts for Geeks & Gamers!